The DRM platform should be able to adjust gamma and to support things like redshift. graesslin added a project: KWin. romangg added a subscriber: davidedmundson. If you see squares in the squares, gamma is not correct. Needs to be displayed unscaled, or upscaled with box filter. How is this supposed to work? I see inside squares all the time (trying different Gamma values with KGamma on X session). I use a 33 point custom curve loaded via XF86VidModeSetGammaRamp, not a single value. Today's displays need some 'S' shaped curve, but unfortunately needs fine tuning for each display. separate KCM to do this in gui or integrate into the Displays KCM. romangg edited projects, added Plasma (Plasma 5.14); removed Plasma (Plasma 5.13). The patch to KWayland D12388 for arbitrary color curve manipulation has a problem from the start: Wayland protocol messages can only be max 4KB. 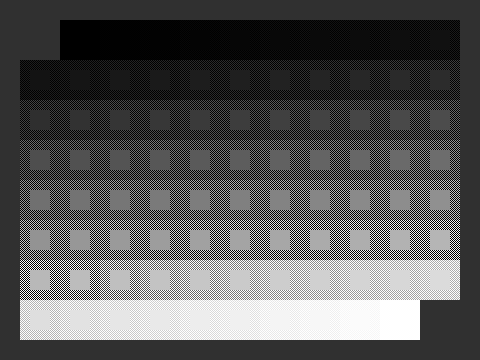 Sending an array of 256 16bit colors is this. But what if a hardware supports finer curves? It might make more sense to support wlroot's wlr_gamma_control_unstable_v1 protocol, which hands over the color curves via file descriptor. romangg moved this task from Work In Progress to Backlog on the KWin board. romangg removed a project: Plasma (Plasma 5.14).